Furkan Korkmaz talks to Taking The Charge about the Basketball Champions League, FIBA EuroBasket 2017, FIBA windows and the 76ers. Taking The Charge Podcast Episode 253: We throw out the love to Ball In Europe’s 10th birthday. We look back at FIBA U16 Africa Championship, South American Basketball U17 Championship 2017 and FIBA U20 European Championship 2017. 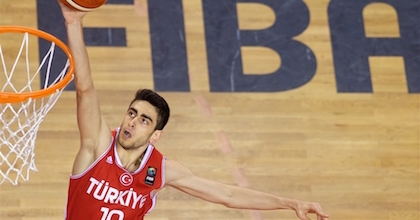 For the interview we chat with Turkey’s Furkan Korkmaz. Episode 253: We look back at FIBA U16 Africa Championship, South American Basketball U17 Championship 2017 and FIBA U20 European Championship 2017.